As winter approaches, it is always a good time to brush up on those winter gutter maintenance tips out there. This is for the simple fact that you need to be able to cover all your bases and through some basic tips and tricks, you can keep your gutters and your roof in the best possible shape. This is especially true for those that live in those climates where a lot of snow is seen. Use these tips when it comes to keeping your gutters in the best shape possible during the winter months. You don’t want to replace them come spring time if you don’t have too. 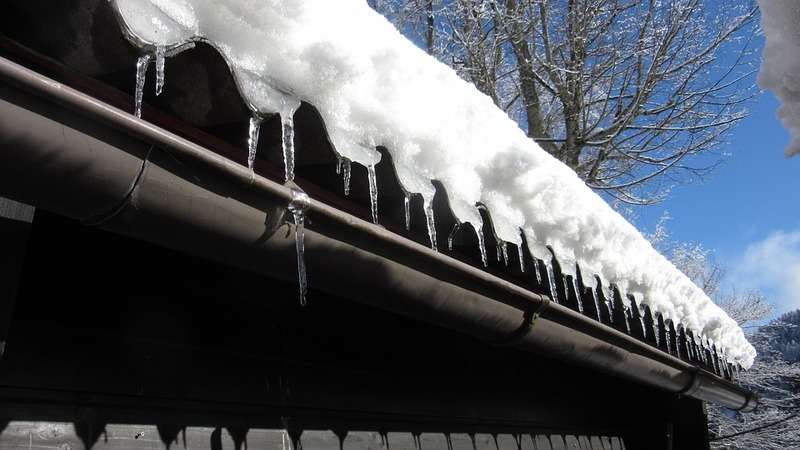 Always make sure that the debris, snow and ice is removed from the inside of the gutters throughout the months. This can cause them to be weighed down and break from the side of the house. Always watch for icicles that are dangling from the bottom of the gutters. These should carefully be removed to prevent not only injuries but also weight holding the gutters down. Make sure that the bottom of the downspouts is cleared out so that you do not have to worry about build up at the ends and then freezing inside them. Always make sure to watch for ice dams that build up on the roof. This can damage the shingles and even pull the gutters away from the home, depending on how large the ice dams are. Do repairs on the gutters as soon as you notice a problem with them. You don’t want something to happen that shouldn’t in the end. When in doubt with gutter maintenance, call in a professional to come in and provide the necessary repairs and maintenance needed throughout the year. Make sure to follow all the winter gutter maintenance tips out there and make the most of them in the end. You want the best working gutters that you can find, and with a professional, you can have someone come out and inspect them for you. Want to find a gutter contractor for your area? Contractors Today can help with that. Fill out the form or give us a call and we can help get you connected with one that is working in your area.